Monstrous heralds of change, the sight of whom only children can survive. Monsters born of the battlefield, in gunfire and frost and blood, clothed in too-familiar flesh. Monsters, human and otherwise, born of fear, and love, and retribution all, wrapped tight and inextricable one from the other: the Fallen outside of time, lovers and monsters in borrowed skin, creatures from beyond the stars, and humans who have travelled to them. In stories by turns surreal, sublime, brutal, and haunting, there are no easy answers to be found. Only the surety that though there be monsters, you will name them false. And when you meet those who truly are, you will not know them. 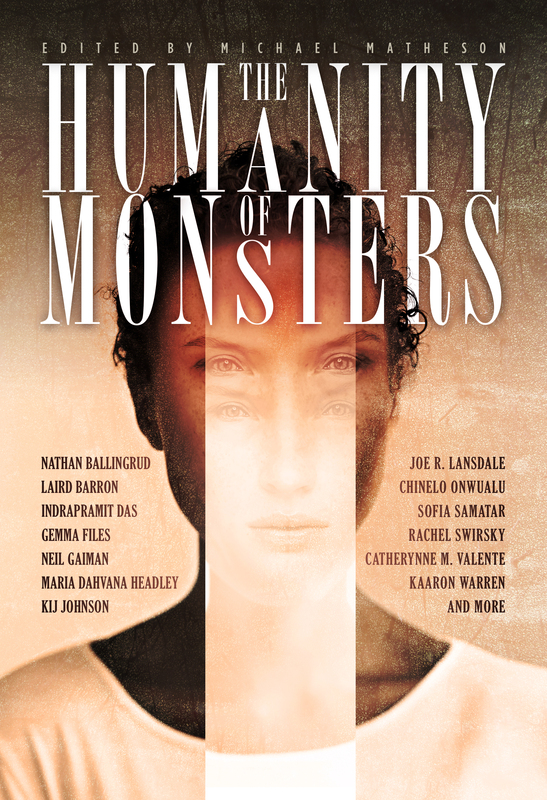 The Humanity of Monsters doesn’t just shine a light on our monstrous actions. It peels back the skin and digs greedy fingers into the whole bloody, twitching mess. Illuminating and transformative. One of the best anthologies I’ve read this year!